Are you American? Then I think you're creepy and kooky. 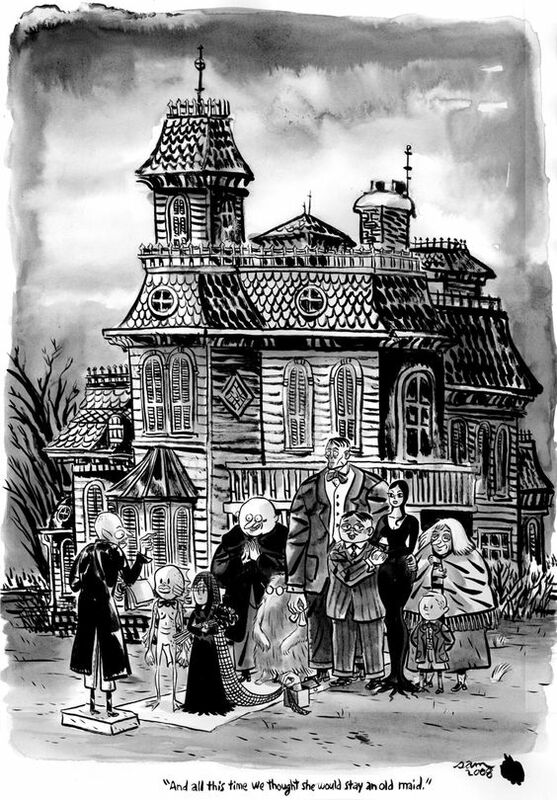 Lately I've been delving into representations of the gothic in American culture. For us Brits, gothic America is a slightly uncanny place - many of the cultural mainstays are alien and don't resonate in quite the same way. 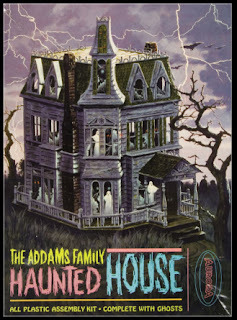 A good example of this is the classic American haunted house - a tall, faded, wooden clapboard structure. We have very few examples of clapboard constructions in the UK so these buildings immediately strike us as 'alien' and 'other'. There is no sense of familiarity about them. 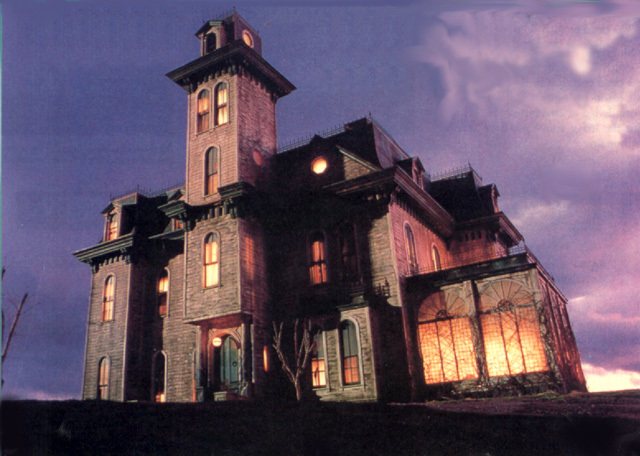 Good examples of such houses in pop culture are the Bates house in Psycho, and the Addams Family mansion. It's the latter I want to delve into, particularly because of the franchise's pedigree. Created by cartoonist Charles Addams in 1938, the fictional family continued to appear in printed cartoons until 1988. They have been the stars of numerous TV shows, cartoons, movies and video games, as well as featuring in other universes like Scooby-Doo. Throughout, their residence has been described as a 'mansion' and its depiction has stayed pretty consistent. Another Addams panel, giving a view down from the central tower. This scene with the boiling oil is recreated in the opening of the 1992 movie. 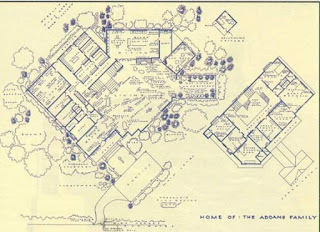 The Addams Family Home Floor Plan was drawn by Mark Bennett. Mark Bennett has been drawing floor plans of TV homes and offices for years. The floor plan appeared in the LA Times Magazine on September 10, 1995. Timber became increasingly uncommon as a construction material in Britain as the centuries passed. We destroyed many of the forests which covered our island. Land was converted to agriculture or the wood used for buildings, industry and the fabrication of ships to fight the French and Spanish. Brick and stone have been common for several hundred years. These materials also have the benefit of being less combustible, as fire was a constant threat in dense, cramped cities like London. America has had no shortage of wood (especially split oak, pine and spruce which are ideal for construction), nor space on which to build and so wood has persisted in vernacular architecture. 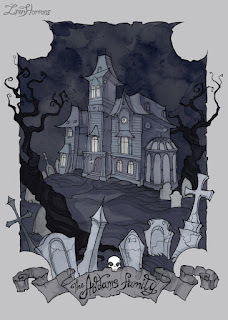 The clapboard style has come to resonate as historic and is therefore a common signifier of a 'haunted' house. 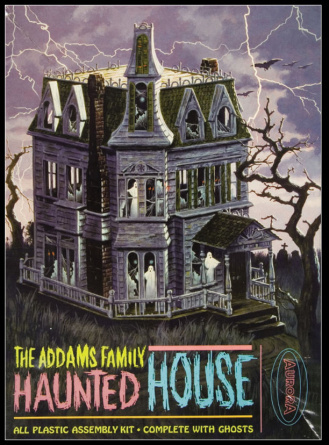 Indeed, the faded grey of the Addams' mansion is a natural consequence of the tannin being washed out of the clapboards as the years pass. 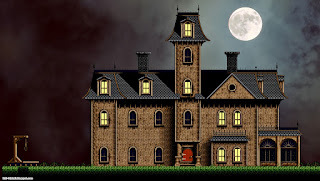 The Addams mansion is in the Empire style - neoclassical inspired by French architecture under Napoleon. This aesthetic was popular in America from about 1810. 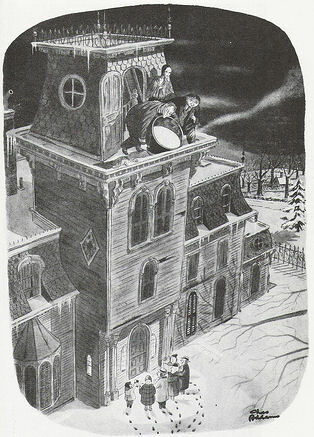 Charles Addams had probably seen the SK Pierce mansion in Gardner, Massachusetts. 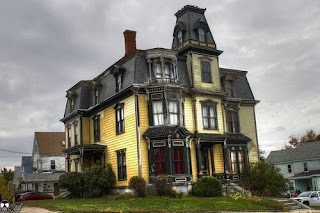 This is one of America's most famous 'haunted' houses. 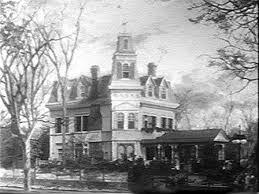 Built in about 1880 it later fell into disrepair and was the site of various alleged murders, deaths and suicides. The SK Pierce Mansion. 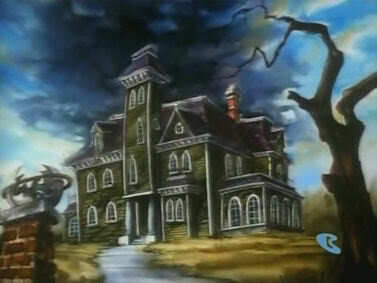 Its bay windows and central tower make it a likely source for the Addams' residence. In 2013 Tim Burton was attached to an animated reboot of The Addams Family, but, to date, this hasn't come to fruition. It would be fascinating to see how me might have re imagined the franchise and its mansion, especially given how he overhauled Batman in the 1989 movie. 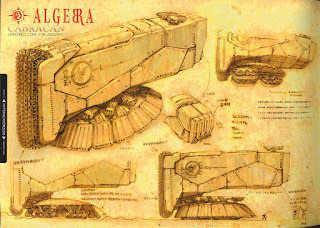 Alas I can't find any concept art for this aborted version. Dangerous Minds has just posted an excellent piece on the infamous Black River Falls in Wisconsin. The bleak history of this mining town was profiled in a 1973 book Wisconsin Death Trip and then, later in 1999, an excellent documentary of the same name. Being an avid film buff at university at the time of release, I remember the piece as being quite a landmark. It's shot almost entirely in gorgeous black and white and features a haunting soundtrack. Someone has uploaded the whole thing to YouTube and I've embedded it below. I'm not sure how long it'll be around so I'd recommend watching it sooner rather than later. 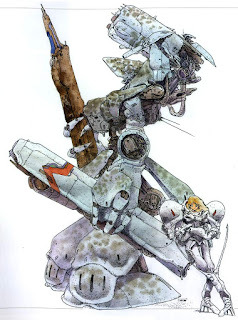 I've mentioned mecha designer Makoto Kobayashi before on this blog but haven't written about him in great detail. His work is utterly stunning and up there with the great Kow Yokoyama. Indeed, there's a lot of commonality between their styles. They both represent the best of that 80s niche vogue for organic mecha and tech design. I've only just found that Forbes published an excellent interview with Kobayashi last year. It's a wonderful read. Amusingly, it reveals that some of his most iconic work was done under pressure when commercial plans went wrong and he was asked to provide solutions. Kobayashi is perhaps best known for his anime Dragon's Heaven. 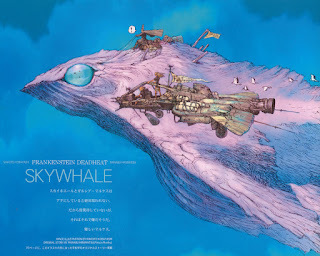 With its unique design and live-action title sequence it's remembered fondly. 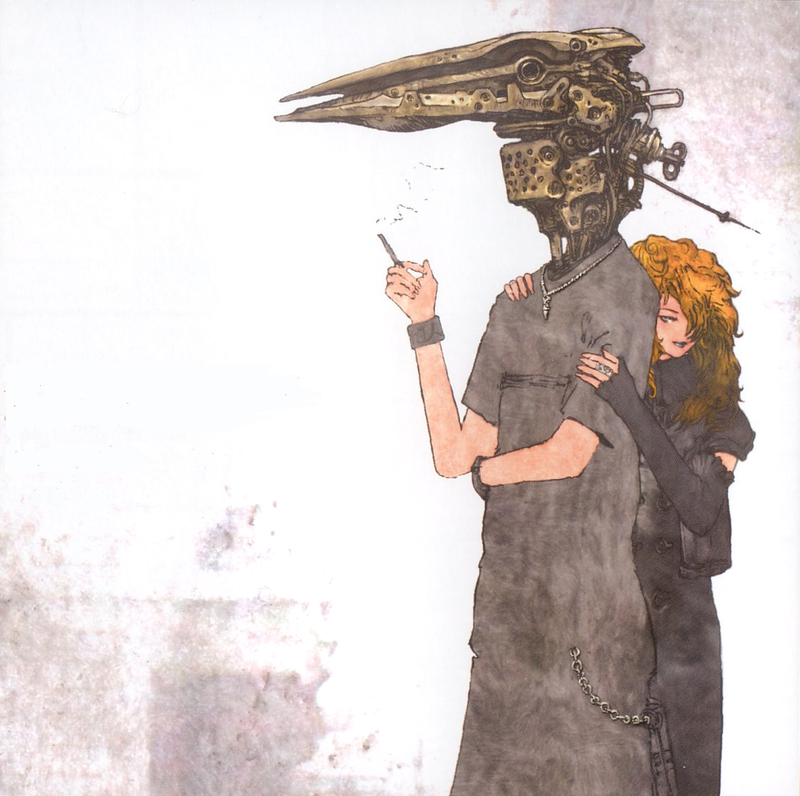 He has also been featured in numerous editions of high-end Japanese modelling magazines, including Hyperweapon. 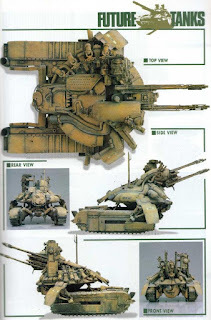 In the interview he describes how many of his models were kitbashes he made when asked to pitch to large anime studios. Alas, these magazines are almost impossible to find in hard copy in the West, and one has to make do with the odd scan that pops up online. I'll leave you with a small selection of his work. Due to life being a little busy it's taken me rather a while to complete these guys. 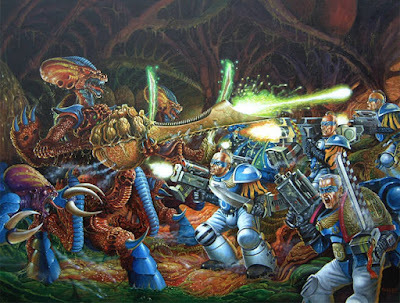 They are the second iteration of Space Marine Scouts and are some of my favourite ever miniatures. They come from that wonderful period when Games Workshop was pushing into really weird, baroque territory. These guys are a bonkers-crazy mash-up of Landschneckt sleeves, Adam Ant makeup and mohawk hair cuts. They were actually really tricky to paint for two reasons. These old casts lack some detail along the axis where the two halves of the mould meet. 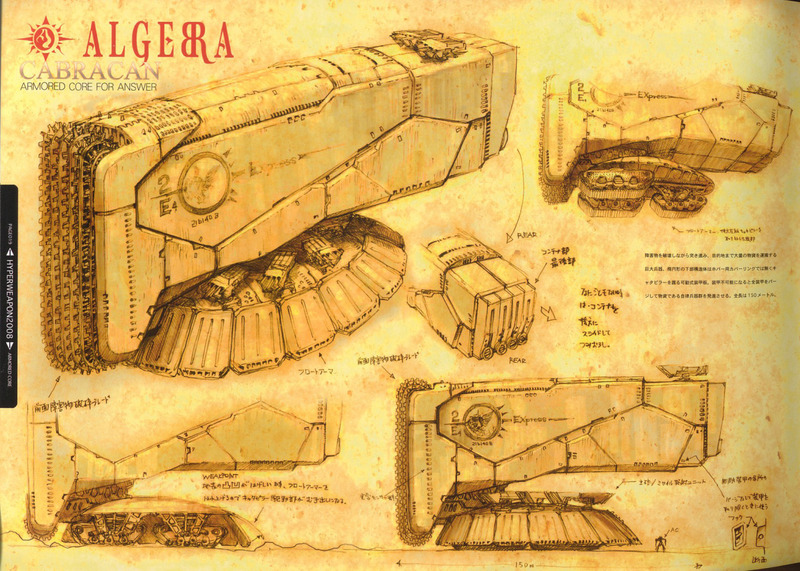 I found myself having to paint in the detail around the bits of armour that cross this axis. I'm so used to the amazing detailing on GW's current plastics that I'm not very practised at this. Second, the wide variety of colours means you can't 'spray and pray' as I've done with most of my other Marines. I opted to zenith spray these guys white over a black base, and then block in the other colours. I didn't do too well with the recess washes so spent a lot of time tidying things up. I got so fed up of this I baulked at painting the slashes on the sleeves black, which in hind sight, I'm disappointed about. I took inspiration for the colour placement from Fangorn's amazing Advanced Space Crusade cover and some reference shots of the original plastic minis in Bryan Ansell's collection. I thought about adding more contrast to things like the knees, but ended up keeping them mono. I also changed the red shoes and knives because they seem too toy-like. I've got one of the Made to Order Assassin casts on the go at the moment. The guy's a dream to paint and I'll soon have some polymorphine-fuelled help for the Scouts.